The cover that the Whitney award finalist, Author J. Scott Savage revealed to us on Tuesday was amazing, right? (Click here if you didn't get to see it!) 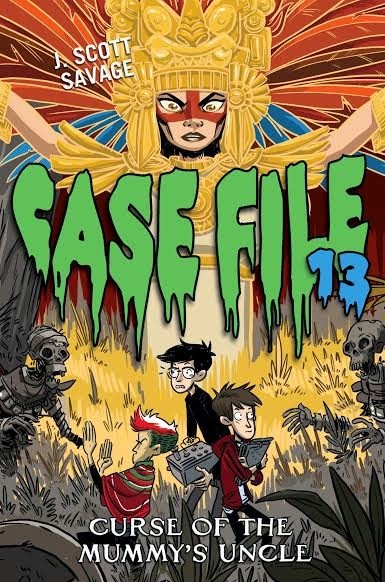 Well, today we have cover to share with you from his other amazing YA series, Case File 13. 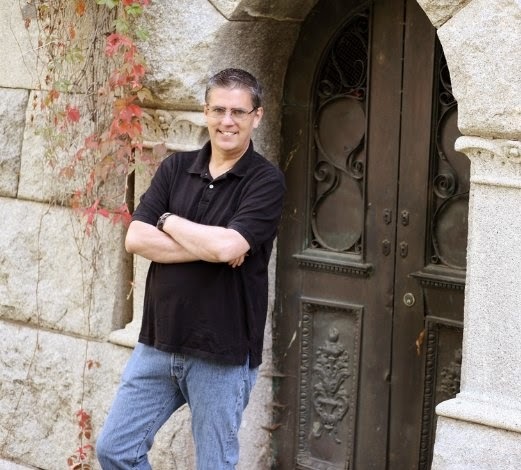 First, for those of you who didn't get to see his author bio on Tuesday, lets help you guys get to know the man behind the amazing books real quick! J. Scott Savage has returned after being lost in a Mexican rain forest. His office is now filled with Mayan scrolls, hieroglyphics, artifacts, and star charts. His children and children-in-law, Big Nick, Erica, Scott, Natalie, Jake, and Little Nick, look pale, and claim to be cursed. His grandchildren, Gray, Lizzie, and Jack, are heavily wrapped in mummy-like bandages. And his wife, Jennifer, has reportedly been seen glowing green and hexing the neighbors. You can visit him on his blog jscottsavage.blogspot.com or on Twitter @jscottsavage. “Sure to please young readers looking for a thrill. It’s hard to imagine that readers (particularly boys) won’t enjoy every minute of hair-raising fun.” —Kirkus Reviews, starred review. “With its mix of creepy chills and laugh-out-loud humor, Zombie Kid is the perfect book. Nick and his friends are my new favorite people.” —James Dashner, New York Times bestselling author of The Maze. BEWARE! This is not your ordinary back-cover blurb! You should be totally eager to take a peak at this cover now. Amazing cover, right? Leave your comments for the author below!!! Click here to join in the Rafflecopter giveaway!